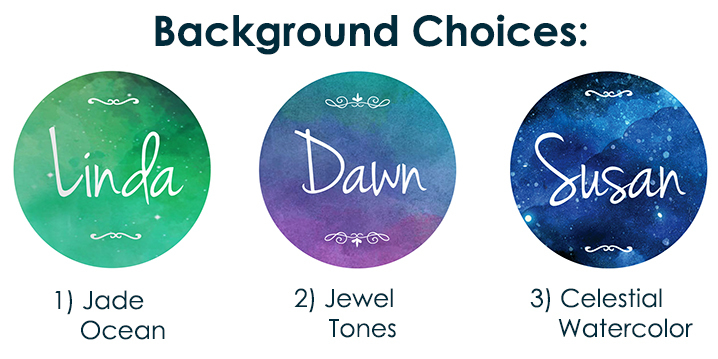 To Order, Choose a Background from the List Above and Leave your Name in the Notes at Checkout. Eliminate Confusion: Know Exactly When you Last Took your Medications. This clinically proven pill alarm timer is super easy to use, and it fits on any pill bottle. The unique "Last Opened" display always indicates the last Day and Time that medications have been taken. 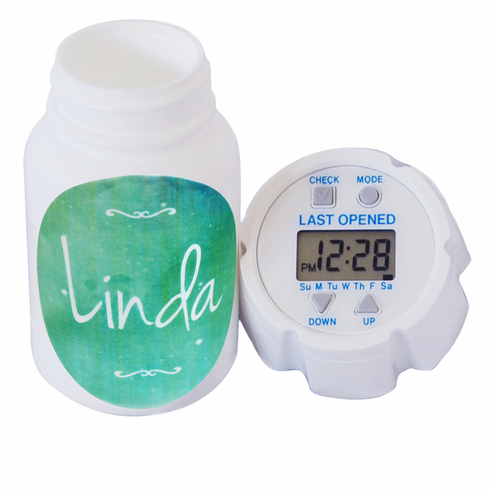 Never forget to take your medications again with this pill bottle alarm cap timer! The patient can set one or multiple alarms on the Hour (up to 24 Daily Alarms). This e-pill device works well for any number of doses of the same medication per day. If you have several different medications best practice is to have a different e-pill Multi-Alarm TimeCap device for each medication. Make certain the bottles are labeled. Please note the cap is NOT Childproof. Missed Pill Indicator: If the Display is flashing, the Alarm time has already passed. Clinically Proven: The e-pill Multi-Alarm TimeCap Medication Reminder works well for all patients that take one (or more) medication several times per day. Efficacy data published in The Journal of Clinical Pharmacology - Impact of an Electronic Medication Compliance Aid on Long-Term Blood Pressure Control. Results show a significantly higher patient compliance (medication adherence) rate with TimeCap (95.1%) vs patients using a standard vial (78%) with a corresponding reduction in systolic and diastolic blood pressure. Learn more here.